Figuring out how to control wildlife when your home backs onto a golf course or ravine can be a difficult task. 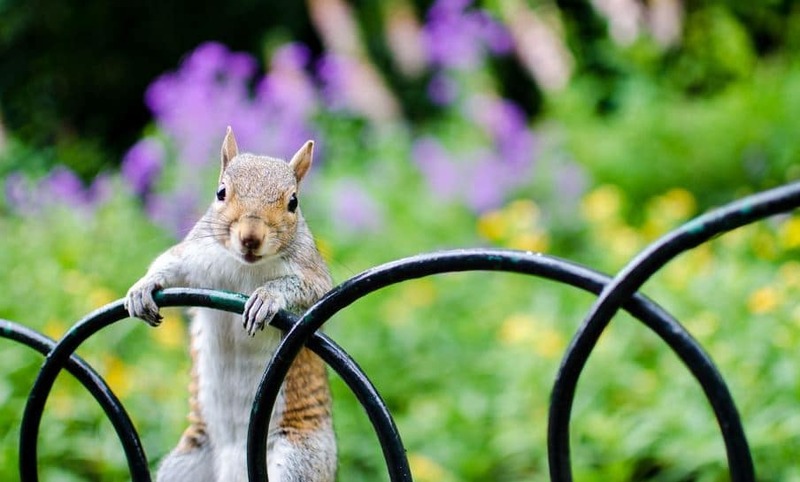 These areas are typically protected to some extent and since they’re likely home to a wide variety of wildlife, it can feel impossible to keep your yard safe and clear of pests. While it may be difficult, there are still things you can do to ensure your home and yard are pest free, even if you back onto a golf course or ravine. Why are these areas more likely to attract wildlife? Looking for tips on keeping nuisance animals out? Hearing noises from your attic or from under your deck? If you're in Burlington, Oakville or Hamilton it's time to call the wildlife control experts at Halton Wildlife! Golf courses use many pest prevention strategies to keep animals off their course, so it’s natural for wildlife to flee to surrounding properties to find food and build a home. This means that if you back onto a golf course, your property is likely a prime target for pests. On the other hand, if you back onto a ravine the opposite is probably true. The abundance of trees and brush makes the area super tempting for animals. Ravines are full of great hiding sports and safe places to live, and a yard that backs onto a ravine likely feels just as safe. Wildlife don’t abide by property lines, so it’s no surprise these lines might be blurred. Taking measures to prevent wildlife from entering your property is the easiest way to keep your home pest-free. Practices like erecting a fence around your property and keeping overgrown brush clear helps to decrease the appeal of your property. If an animal has to struggle to get into your yard, they will be more likely to abandon their attempt and look elsewhere. Taking time to ensure your property makes an unappealing place for pests to get comfortable is a good way to keep them at bay. There are several steps you can take to keep your yard free of food and shelter sources. Keep lids tightly on garbage bins – pests like raccoons will do almost anything to get into a garbage can. Ensure your garbage bins are kept in your garage or if they must be outside, keep them latched or weighted down to prevent entry. Prevent the collection of water – Having pools of water around your yard provides drinking water for wildlife, which makes your yard appealing to them. Keep brush clear to eliminate hiding spots – Wildlife will most often enter your yard for three reasons: food, shelter or to build a nest. Keeping all areas of your yard clear of brush helps prevent pests from taking up residence. The trapping of most wild animal species is not allowed in Ontario. If you are questioning whether this is an option for you, contact a local pest control agency to get advice from professionals. The last thing you want to do is set a trap, catch a protected animal and not know what to do with it! A trained professional can help you put together a plan that protects both your property and the animals’ safety.